Do you always have a hard time deciding what to prepare for breakfast? You slept late because you had to finish a report that is due today at work. The next day, you need to wake up early because the kids need to go to school and you, well, you need to go to work. Feeding you and yours cereal each and every single day is not going to cut it. That box of cereal you got at the supermarket is packed with sugar and does not have the right nutritional value that we all need. Breakfast does not have to be a gourmet meal. It can be simple yet give the right nutrition with its healthy meal ingredients. 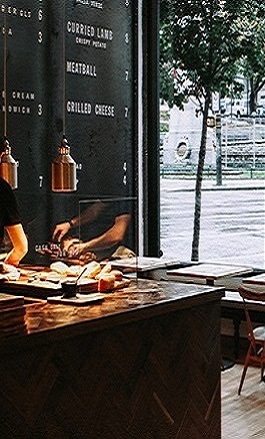 Here is what we, at Appetite, have in store for you today. 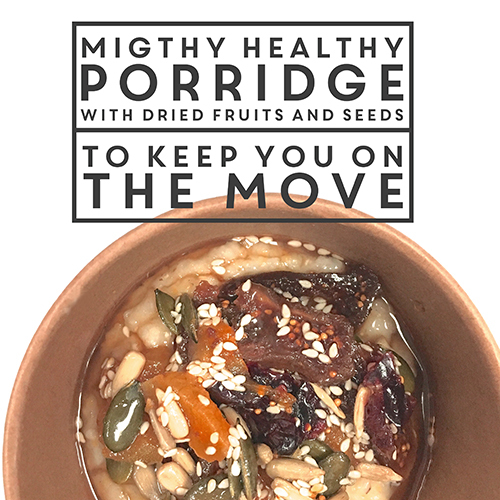 You have got to try our Mighty Tasty Porridge with dried fruits and seeds. It is one of our healthy meals with little ingredients. You can get it from both our stores at Executive Towers Bay Avenue Business Bay and Al Serkal Avenue (A4 space) and then you can prepare it yourself in the morning. It can be done easily without all the fuss. But, let us discuss how Mighty Tasty Porridge is good for the health. It contains healthy meal ingredients like almond milk, dried apricots, figs and cherries, honey, sesame seeds, pumpkin seeds, and sunflower seeds. When it comes to milk, almond milk is the choice for health gurus these days. It is great for those who are lactose intolerant and it has a lot of health benefits. Almond milk has no saturated fat or cholesterol so it is good for the heart. It also makes your bones and muscles stronger. It is also low in calories so it helps in weight management. The sesame, pumpkin, and sunflower seeds are also all good for the health as they are rich in vitamins and fatty acids. This breakfast is all your family needs to keep them going.